Are you tired of the never-ending search for new clients? 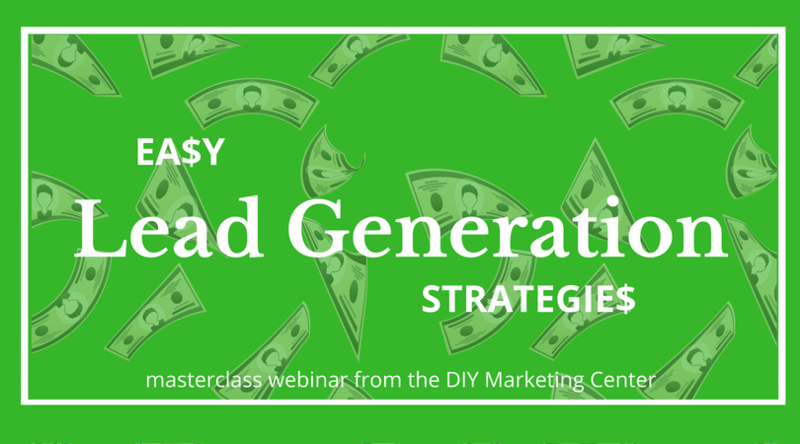 With the right lead generation system in place, you can stop working so hard--because lead generation brings prospects to YOU. YES, the public is also welcome. Labor Day means that we won't have our regular Action Calls on Monday morning. I will miss you all, and look forward to reconnecting at the monthly marketing webinar on Thursday, or at the first Marketing Coaching call of the month on Friday. DIY Weekly Member Update · September 3, 2018 · #400 © 2018 Veronika Noize. All rights reserved. => Have you entered or voted in our T-shirt design contest? Our fun T-shirt design contest is in full swing! Please take a look at the entries and vote for your faves. Let me know which you like. If you feel inspired, please enter YOUR cool design. Not a designer? Don't have the right software? My friend, that's exactly what www.Canva.com is for! Loving these first entries, and can hardly wait to see yours. I will be out of the office and hard to reach this week. If you have a crisis, you can reach me by email or Messenger on Facebook. If your crisis is "where in the heck are my prepaid sessions," relax! You may have used a personal email to buy some sessions, and all you need to do to find them is use that email in the tool. If your crisis is of the "I must must must talk to my marketing coach variety," you will find me on the Monday morning Action Calls. Our First-Ever T-Shirt Design Contest is LIVE!! So so so excited to announce that our first-ever T-shirt design contest is LIVE now! You are welcome, invited, encouraged to enter your design for our T-shirts. Not a professional designer? No worries! We're looking for cool ideas, not perfection. We're also looking for your opinion of the entries, so remember to vote. Do You Have Prepaid Coaching Sessions on Account? Step 2: Scroll down to the red "Redeem Coupon or Package" button. Step 3: Click the red "Redeem Coupon or Package" button. Step 4: Enter your email address (the same one you use for the Weekly Update email) in the "Code or Email" box. Step 5: Click the "Apply" button. Step 6: Any sessions or credits will show up. But what if the sessions you bought DON'T show up?!?! You may have sessions under a different email address (it happens!). Try your alternate email address(es) to search for any sessions or credits you may have. This year at Inspiration U, all volunteers will get cool new T-shirts as “thank you” gifts. And I am looking to YOU for the design. Have a design idea for the perfect T-shirt? Here's your chance to win eternal glory, 15 minutes of fame, and $50 in Mastermind money. Plus a T-shirt with YOUR cool design! If you can't create a design, you can still vote for your favorite. The contest starts on August 17th, and voting concludes on the 31st. The winner will be announced in early September. Here's the link to more info; please note that the promotion is not yet active, but will be on August 17th. Do you stumble, stutter, mutter or freeze when it comes to introducing yourself in front of a group? While networking? When meeting new people? There's a class for that. It's our Next Level Networking training, and it happens at the DIY on Wednesday, August 15th. If you can make time in your schedule, I recommend you show up. As a member, you're on the guest list. Please register, and bring a friend. Get the guest code on the Member Specials page. DIY Weekly Member Update · August 13, 2018 · #397 © 2018 Veronika Noize. All rights reserved.